Editor’s note: This post is a part of a series of guest posts from the PRSA Georgia Chapter publicity committee for the PRSA 2015 International Conference, November 8 – 10. Follow the Conference conversation by searching the hashtag #PRSAICON and following our PRSA National Events Twitter handle, @PRSAevents. Atlanta is known as the “the cradle of the Civil Rights Movement” for good reason. From 1940 to 1970, the city became the epicenter for the movement as black leaders fought for voting rights, access to public facilities and institutions, and economic and educational opportunities for African Americans. Local public figures like Rev. Martin Luther King, Jr., Former Ambassador Andrew Young, and Congressman John Lewis rose to national and international prominence through their contribution to the nonviolent struggle for equal rights. One of the key reasons Atlanta became the natural headquarters for the Civil Rights Movement was the strong infrastructure provided by local black churches, social institutions and political organizations. The city was also home to one of the most successful black business communities in the country, “Sweet Auburn” Avenue. The largest network of historically black colleges and universities in the U.S., is also located just west of downtown. 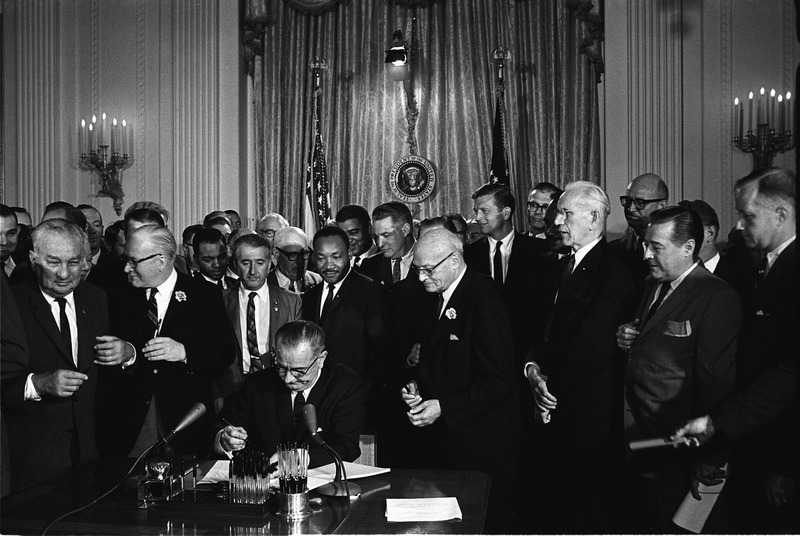 During the Civil Rights era, students from Clark College, Atlanta University, Spelman College, Morehouse College, Morris Brown, and the Interdenominational Theological Center were very instrumental in the planning and implementation of activities to secure the rights of African Americans. This well-defined and vibrant black community became the backbone to supporting the movement by developing leaders and supporters and providing a safe haven for convening and dialogue. Even some notable local businesses leveraged their standing to support the Civil Rights Movement. In 1964, social conservatives in Atlanta refused to support an integrated dinner honoring Nobel Peace Prize winner Martin Luther King, Jr., Coca-Cola’s then-CEO J. Paul Austin intervened, stating “Coca-Cola cannot stay in a city that’s going to have this kind of reaction and not honor a Nobel Peace Prize winner.” The ultimatum worked and the event quickly sold out. Atlanta’s civil rights legacy and leadership role in current human rights movements make it a great destination to reflect on the past and convene around the present. It also makes it a great place to study how public relations played such a crucial role in the movement. The media is often credited with helping shape public perception around the movement through its dissemination of images depicting violence against blacks in the South; however, very little is mentioned about how civil rights groups intentionally used public relations and the power of the media to show injustices and unequal treatment. Organizations like the Student Nonviolent Coordinating Committee (SNCC) and the Southern Christian Leadership Conference developed strategic communications plans around their efforts, from how information would be shared in the community to how supporters should conduct themselves during protests. They also took great care in selecting the sites for their activities, spokespeople and messaging. Their work demonstrates how public relations can be a powerful tool for social reform and promoting social values. Coming to the PRSA 2015 International Conference? There are a variety of great museums and centers where you can learn more about Atlanta’s civil rights history including The Center for Civil and Human Rights, The King Center, The Atlanta History Center, and The Apex Museum. Visit these institutions to learn more about Atlanta’s contribution to civil rights and how we are continuing to work to create a more just future for all. Kayla Reed is Account Supervisor at Porter Novelli.